Tp-22C – one of the most used turbine oils. This oil is used for high RPM steam turbines, centrifugal and turbo-compressors to prevent wear of the equipment. It is made from sulfuric paraffinic oils and ships to the market after selective solvent purification. Tp-22B is oxidation-resistant, with a long service life and is less prone to sediment formation. 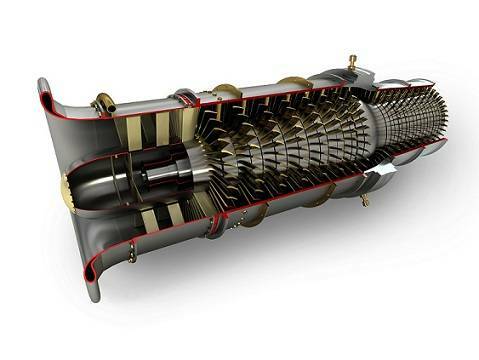 Tp-30 oils are used in hydro-turbines and in several types of turbo-compressors and centrifuge compressors. Tp-46 oil is used in maritime steam power units with heavy duty gearboxes and auxiliary systems. T-22, T-30, T-46 and T-57 oils are made from high quality low sulfur and low paraffin Caspian oils by acidic purification. The product’s properties are due to raw material quality and deep purification. These oils are used for high RPM steam turbines, centrifuge and turbo-compressors, hydro-turbines, low RPM steam turbines, maritime steam turbines and other auxiliary maritime hydraulic equipment. Practically all of the above contain anti-oxidation, anti-corrosion and de-emulsification additives. During operation, turbine oils accumulated contaminants, including dissolved water and gas. Equipment failure analysis shows, that about 25% of failures are related to problems in oil supply lines and deterioration of turbine oil. Additives introduced into the oil after purification by the manufacturer, maintain the oil’s properties and prevent rapid oxidation. The duration of additive effectiveness is the duration of the oil’s “young” age, when the oil operates without problems and disruptions of the process. When the oil oxidizes to 0.1 – 0.2 mg KOH/g, with the appearance of solved slime and sediment, the first solution for extension of the oil’s service life is the introduction of an anti-oxidation additive. Such situation also calls for control of anti-corrosion properties of the oil by monitoring corrosion indicators, submerged into the oil tank of the turbine. At the first indication of corrosion, an anti-corrosion additive is injected into the oil. When restoration of stability and properties of the turbine oil becomes impossible, it should be replaced. Consequent cleaning of oil lines and, especially, connectors and drain collectors, as well as purification of the oil, ensures stable operation of turbines. According to the EU Statistical Committee, the total volume of used oil disposal is 1% of total volume of waste liquids. The rest of the oil is re-used as fuel or for other industrial needs. The most reasonable approach is to restore the oil’s properties by recycling, regeneration and filtration. With the help of the modern plants, various contaminants can be removed form the oil, including water and gas. It is also possible to bring the oil back to original specifications in one treatment cycle. There are several companies on the market, offering various plants for industrial waste processing and reclamation with a wide range of products: from specifically targeted to versatile, stationary and mobile, complicated and simple, stock and customized.